Simple vegetables for a weeknight supper: can there ever be enough of them? I think not! One of my first 3x5 recipe cards (remember those?! ), penned at age 10, is titled, "Cooked Cauliflower". 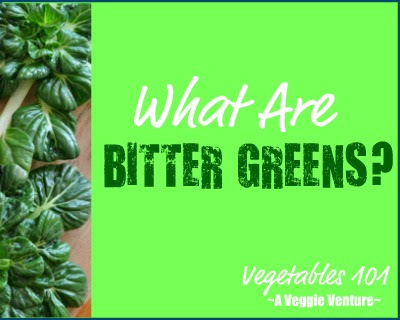 Even then, I wanted to learn how to cook vegetables! NEXT TIME ... I'll steam or boil the cauliflower, then toss it in the sauce. I have a hard time pan-cooking cauliflower and broccoli to a good eating texture, especially since the bulky florets must be kept in a single layer. This makes it hard to cook enough for leftovers, let alone a whole head of cauliflower. FROM THE ARCHIVES ... The Recipe Box has lots of other ideas for cooking cauliflower but my favorites in winter are roasted tomato with cauliflower and white on white puree. In a skillet large enough to hold all the florets in a single layer, heat the oil till shimmery. Add the cauliflower and stir well to coat the cauliflower on all sides. Let cook til cauliflower begins to brown. Meanwhile, mix remaining ingredients in a bowl. Pour over partially cooked cauliflower, cover and let cook for about 10 - 15 minutes until cauliflower is done, checking temperature on occasion to stir and make sure not to burn. Uncover and if liquid remains, keep cooking til cooks down. Taste and adjust seasoning. Transfer to serving bowl, garnish with reserved green onion. I have some cauliflower growing in my garden right now--so I look forward to cookingthis dish--I love Asian flavors--great idea. Yummmy! 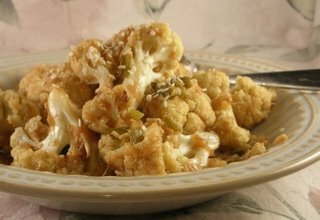 I love cauliflower and I love the flavors you have used here. Just lovely!